Popularity with AlieraCare started with their Standard plans (Value, Plus, and Premium). That was their core offering in the health sharing space and made up the bulk of activity. This was partially due to the how new health sharing plans were to most people. If a person is not eligible for an ACA tax credit, the cost of Obamacare plans became a non-starter for many people. 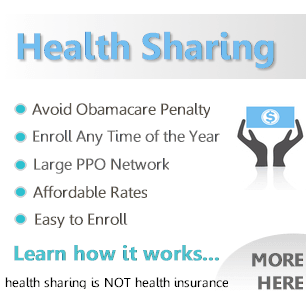 Health sharing plans provided the only alternative to avoid the tax penalty. In 2019, the tax penalty is gone so it then becomes a question of cost versus some level of protection. Over time, the CarePlus Advantage catastrophic health sharing plan became more and more popular. There are a few reasons for this adoption over time which we'll discuss below. Let's first look at the core design and then we'll discuss the pro's and con's of CarePlus versus other health sharing plans and even ACA health plans. We have written extensively on how health sharing plans work here but a quick synopsis. 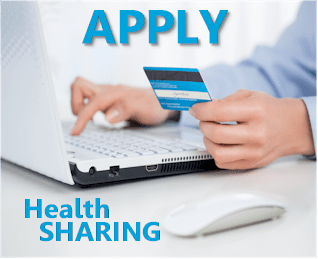 Health sharing plans like CarePlus catastrophic are not health insurance! They are memberships where members share health expenses. 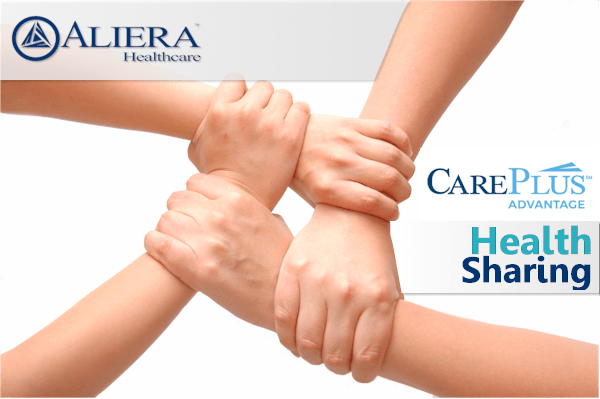 AlieraCare is the closest we have in a health sharing plan in terms of their network, how they work, and how it feels to the consumer among the 6 health sharing options. That being said, they are not health insurance. The primary difference is that health insurance is regulated by the department of insurance and has requirements and oversight that health sharing does not. For this reason alone, we will only deal with AlieraCare out of the 6 main companies. They are the only ones that keep a 20% reserve for a run on expenses. To us, this is a mandatory requirement to show that you actually plan on paying expenses. Even health insurance plans have periods where expenses spike. They are required to have a reserve by the Department of Insurance. AlieraCare voluntarily does this which is a good show of faith. 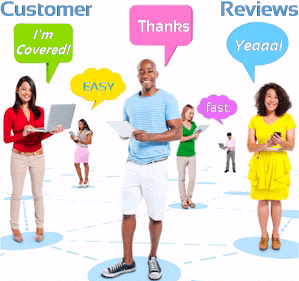 Learn all about AlieraCare reviews here. Let's look at how CarePlus differs from ACA or Obamacare health plans. There are big differences to understand when comparing CarePlus and ACA plans. The two biggest differences deal with cost and health. If you are not eligible for a tax credit based on income, the Bronze plan can be double or more of the CarePlus plan. If you are eligible for a tax credit, you should consider the ACA plan. The other difference is health. If you have pre-existing conditions, there are waiting periods on health sharing plans. This is also a reason to stay with ACA plans if you can afford them. Here's the deal...for many people, they can no longer afford ACA plans. We're seeing premiums of $1000/month for other people on the Bronze plan. This isn't feasible for many people which is why health sharing has exploded in popularity. Let's look at how the plan is designed. The CarePlus Advantage is really designed to address bigger bills, primarily in a facility setting. This is the max amount of expense that will be covered on a plan. Keep in mind that we can switch to an ACA plan at open enrollment or with a special enrollment trigger (loss of group coverage, marriage, birth, or significant move, etc). We're really buying coverage year to year now since we can move around. Open heart surgery might run $100K these days. For this reason, we recommend a higher share limit. Again, if we have to choose, we would rather have a higher MSRA (to reduce costs) and a higher share limit (to protect more on backside for big bills). The main advantage to this catastrophic way of insuring is the monthly cost. By paying for the smaller bills our self, we can save quite a bit especially if we don't qualify for a tax credit. Each plan goes up about $100/month. You can add a Primacare plan for office, preventative, and urgent care to CarePlus for about $109/month. We'll explain the advantage of this below. One of the reasons CarePlus is popular deals with the waiting periods. It's the 2 and 12 that are more concerning. The CarePlus plan does not have the 2 and 12 month waiting periods! Check updated brochure for detail always here but as of this writing, it's a big deal. You can check out the CarePlus Advantage member's guide by request here. The comprehensive plans also have better waiting periods but they're more expensive. For this reason, we probably prefer CarePlus with a PrimaCare plan added on to basically replicate what the Standard plans are doing. AlieraCare uses their MultiPlan or PHCS PPO network for the CarePuls Advantage plan. This is a nationwide, extensive PPO network with almost 1 million providers. You can run your search here for providers. This is broader than most of the individual family networks we can now get. As mentioned above, we can combine two plans together to mirror what the Standard plans offer but with better waiting periods. The cost is comparable to the Standard plan and we can potentially remove the 2 month waiting period for any sharing and the 12 month cancer waiting period. We'll still have the 2 year pre-existing condition waiting period. Keep in mind that AlieraCare does not decline people based on health. The offset to this is the waiting period. It's very similar to what we had before the ACA law. You can quote CarePlus Advantage, PrimaCare or any AlieraCare plan below. It's easy to quote and enroll in any AlieraCare plan including CarePlus advantage. On the online app, make sure to hit "refresh" after adding information. For CarePlus, you'll only see one line for Trinity healthshare. Trinity is the health sharing company while AlieraCare is the administrator. For PrimaCare or the Standard plans, you may see two line items but the rate will match what you see in the brochure. You can also access the brochure for CarePlus Advantage through the link above. Please let us know if any questions come up. We can help in most States with AlieraCare plans. It's new to many people so we're happy to walk through any questions! Also, see a comparison of health sharing plans and our analysis of the best health sharing ministry plan here. Make sure to learn about the differences between health sharing plans and Obamacare. There is ZERO cost for our assistance! Our Help is FREE to You! "My sincere thanks for making a miracle happen- 2014 health coverage !! Many thanks for your expertise and advice yesterday !!" We can quickly (very important) size up your health coverage needs and clearly explain the options available to you. Our focus is finding the most coverage at the best cost to you. We are licensed Covered Ca agents with in-depth knowledge of their plans, process, and health sharing plans. 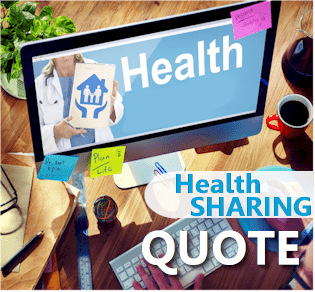 We'll quickly see if health sharing plans like top health sharing companymight be a good fit for you.